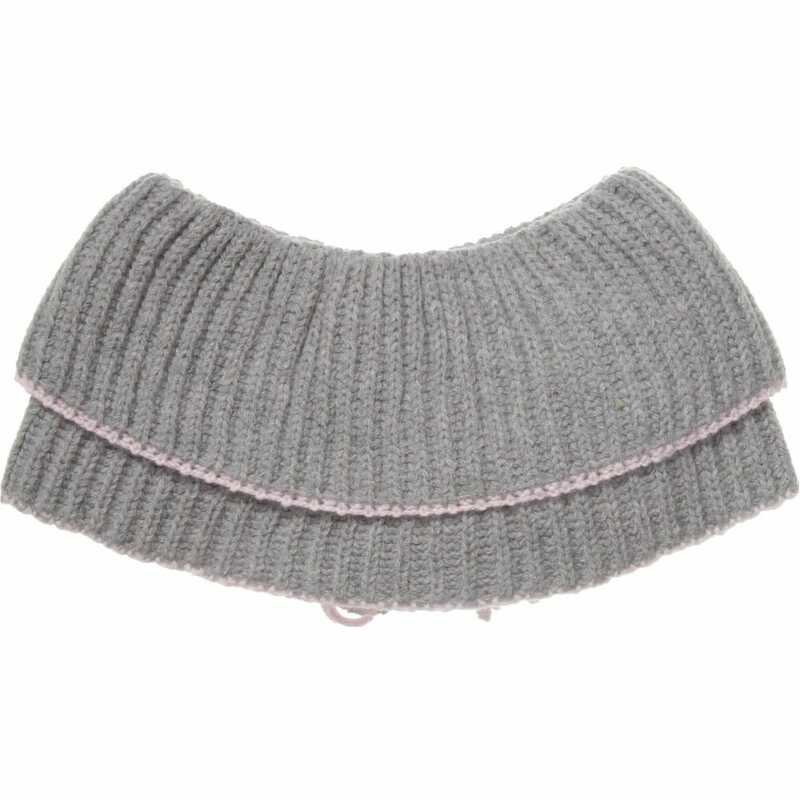 This shoulder shrug by Aletta is made of 92% wool and 8% cashmere. Made in Italy. It has two big flowers on the front with pink trims. 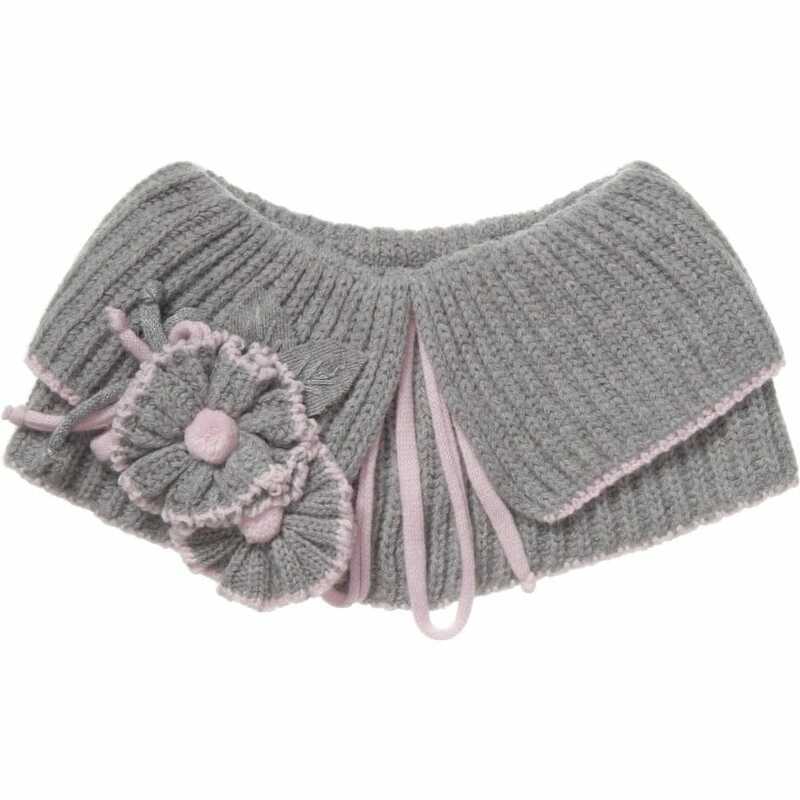 This shrug is perfectly designed for girls. It may be worn as a scarf during a cold weather or as a collar for a stylish look. It is designed for children at any age from 4 to 10 years. The hand wash is recommended.